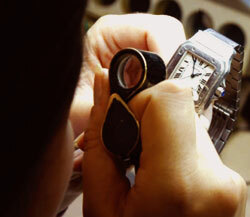 SafeGuard – The UK’s leading Valuation Service, is available from over 1,000 High Street retailers throughout the UK. Determining the value of a piece of jewellery, a watch or an article of silverware, for whatever reason, requires a great deal of skill and experience. At SafeGuard we have these skills in abundance and pride ourselves in the competence and knowledge of our team of highly qualified, expert valuers who have more than 150 years combined experience in the trade. 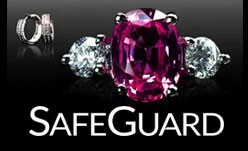 SafeGuard does not buy or sell jewellery products and we charge a fixed price for each item valued. We categorically therefore have absolutely no vested interest in the product, or its replacement value and promise you an unbiased opinion every time. 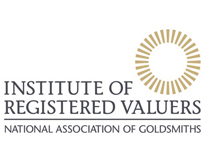 Working diligently using industry best practice methods, with access to the latest gemmological equipment, SafeGuard’s expert valuers carefully examine your jewellery, watches or silverware and provide you with a professional, independent and impartial valuation every time. A digital photograph is taken and included in your valuation document along with a full and accurate description confirming your items precious gemstones, diamonds grades, metal content and also describing any distinguishing features. This vital information can assist you and your insurer in determining the best insurance approach for your items and also be a significant factor in a claims process as it will confirm the item was in your possession and professionally document all of its characteristics thus leaving nothing to chance in an insurance validation process. We work with many major retail jewellery chains and an abundance of independent stores throughout the UK who will take in your precious items and securely submit them to us for assessment. Use our retailer finder to locate your nearest store. Alternatively, you can submit items directly to us using a secure post or courier service or in person to our Birmingham offices. Our Valuation services include Insurance Replacement, Probate, Family Division, Sale Between Parties or Open Market Valuation. All item images and details are held securely on our database and can be verified to your insurer with your permission. Please contact our office or your local SafeGuard Valuation Centre for prices.